Obama and his Obamanistas have told so many outright lies about the Taliban over the years that we can now devote a lengthy article to it. It started way back in 2008 when Obama was campaigning for the presidency. Back in those days he was saying that Iraq was a sideshow and that President Bush had “taken his eye off the ball.” According to Obama, the good war was in Afghanistan and he was going to concentrate on Afghanistan, where the Taliban were fighting US forces, when he got to be president. That turned out to be campaign rhetoric. Sure, he pulled out of Iraq first, but, let’s face it: Obama never really went hard in Afghanistan and now he’s abandoning that fight, just as he abandoned the fight in Iraq. Pretty soon into his administration, the Obamanistas started the meme that the Taliban weren’t actually our enemy. This predates the latest supposition that the Taliban aren’t terrorists by several years. Two lies there. The Taliban are America’s enemy and they are also terrorists. In December 2013, the Taliban published the autumn edition of their magazine, Azan. If calling on Jihadis to launch attacks in the West doesn’t amount to terrorism, nothing does. Such calls to Jihad and other propaganda are nothing new, so why was this particular publication worth mentioning here? Not only are these statements from the Obama administration disheartening because our troops have been fighting Taliban Jihadis for a decade, they also demonstrate a profound ignorance about Jihadist doctrine. Jihadist doctrine does not regard nationalities or international borders as significant. Under their doctrine, Jihad is to be waged to make Allah’s law and religion supreme around the entire world. With their fall Azan magazine, the Taliban clearly demonstrate adherence to that doctrine with their call for Muslims in the West to launch attacks at home. What’s more this is not something new from the Taliban. When they seized power in Afghanistan in 1996, they announced that Afghanistan was to be a launching pad for global Jihad and invited Jihadi fighters to come to their country. 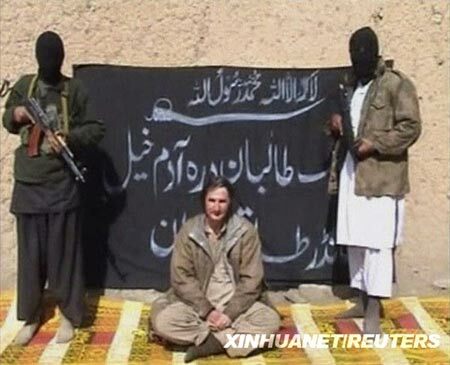 Jihadis from all over the Islamic world and even parts of the West and the Pacific Rim heeded that call and gravitated to the new Shariah-ruled outpost established by the Taliban regime. Among those who relocated to Afghanistan was Osama Bin Laden and Al Qaeda. We know the rest: Al Qaeda launched its attack on America from Afghanistan and the Taliban harbored Al Qaeda from the US when America sought to bring justice down on them. How anyone can look at these facts and conclude that the Taliban are not our enemy is mind-boggling. The idea that the Taliban want to strictly limit their evil designs to Afghanistan is absurd. Yet that has been the policy of the Obama administration for years. It is a policy of lies. And, yes, despite what the Obamanistas might claim, the Taliban are in fact terrorists. All of the groups mentioned above, including the Taliban, are Jihadis. But it is still NOT true that the Taliban haven’t engaged in terrorism and they are not just “armed insurgents” like the bodyguards of lies in the Obama administration maintain. Just 6 weeks ago, on December 16, the Taliban slaughtered 153 people–mostly young school children–in a terrorist attack on a school in Pakistan. 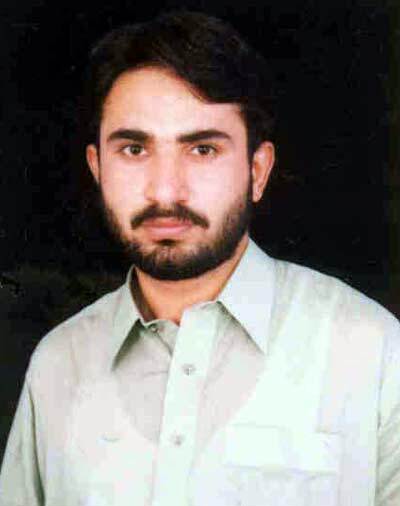 • Najibullah Zazi, an Afghan-American who pled guilty in a plot to bomb the New York City subway in 2009, traveled to Afghanistan to join the Taliban when he was recruited by Al Qaeda to go back to America to attack targets in the US homeland. This shows the continued, close cooperation and collaboration between the Taliban and Al Qaeda. Najibullah Zazi. This Denver resident travelled to Afghanistan where he received terrorist training. Upon his return, he plotted to bomb New York subways. Most recently, there are new reports from Leftist NBC News that hundreds of Taliban fighters have joined the Islamic State, which is becoming a greater factor in the southwest Asia region. The Obamanistas try to make a distinction between the Taliban in Afghanistan and the Taliban in Pakistan. But not even NBC is subscribing to that nonsense. No one in the world outside the Obama administration believes that the Taliban in Pakistan and the Taliban in Afghanistan have nothing to do with each other. The Taliban are committed Jihadists. As such, they are undoubtedly an enemy of America. They have killed and wounded thousands of US GIs in combat over the past decade and they have, from the time they originally seized power in Afghanistan to today, involved themselves with other Jihadist organizations from around the world, all of which are classified as “terrorist” organizations. Jihadis do not limit their scope based on political borders; their stated goals are global. To say that the Taliban are not the enemy of the United States or are not terrorists is to demonstrate a profound ignorance of the doctrinal basis for the threat from Jihad. When that ignorance comes from the executive branch of the US government, it can only be described as frightening. Abdullatif Aldosary is a terrorist. He may be a “lone wolf” terrorist, unassociated with any known Jihadist group, but he is a Jihadist terrorist nonetheless. But our government won’t call him a terrorist. But our government will not charge him with terrorism. This is an outrage and a symptom of the utter denial to which we have fallen victim in America due to politics and political correctness. Note that the media then suppressed Aldosary’s identity, just as they have in previous cases in which Muslims have committed acts of violence, including and especially the Fort Hood terrorist attack. Note also that the infamously irresponsible DailyKos almost immediately started speculating that the bombing was the work of a “right wing” terrorist of some sort. Again, this is reminiscent of the shameful Mayor Michael Bloomberg airing the same kind of wide-of-the-mark speculation when a Muslim Jihadi tried to set off a VBIED in Times Square a few years back. Worst of all though–BY FAR THE WORST OF ALL–is the report from Patrick Poole on PJMedia that the FBI office in Phoenix was treating the incident internally as a terrorism investigation, but they weren’t going to charge Aldosary with terrorism. Instead, he will be charged with simple arson and explosives charges. Why? Because of the political sensitivities involved. In other words, an Iraqi Muslim, with a history of run-ins with DHS (see the different mugshot below indicating multiple arrests), bombs a US government office and he gets charges the same as some moron who tries to blow up his own property to collect insurance? 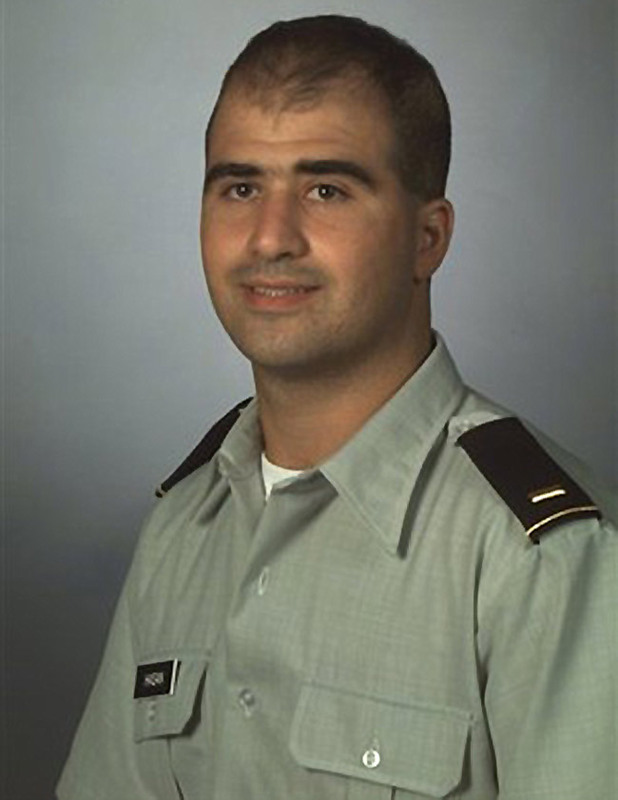 And let us not forget that the Fort Hood massacre has been classified as “workplace violence” and not terrorism, despite the fact that Major Nidal Hasan was in touch with Al Qaeda in the Arabian Peninsula leader Anwar Al Awlaki and yelled out “Allah u Akhbar” as he was murdering and wounding his fellow soldiers. This type of denial erodes our national will and we have to suspect that there are some either in government service or advising those in government service who want just that; they want to erode our national will so that we remain deaf, dumb and blind to the threat of Jihad. Because when the Department of Justice tells us outrageous lies about attacks carried out on US soil like those perpetrated by Nidal Hasan, Abdulhakim Mohammed and Abdullatif Aldosary, they are shaping the national psyche and public opinion. AND THIS NATIONAL SECURITY FRAUD MUST STOP. The Department of Justice is committing professional malpractice in the way in which it handles these Jihadist terrorist attacks. There was a time when it was considered necessary and proper to be concerned about possible foreign influences in US government and military service. Way back in 1981 when I first filled out forms as part of the process for joining the US military (it was a DOD form, I don’t remember the number) I had to answer a specific question regarding travel. The question asked if I had traveled to any of a list of nations after certain dates (all communist bloc countries) with a date listed by each nation (the date that each country had turned communist). Anyone who joined the military in the Cold War era probably remembers this form and this question. If the answer to the question for any of the nations involved was “yes” you had to provide a complete explanation for the reason for the trip, when it took place, etc. Having never visited countries like Cuba, North Korea, East Germany, the Soviet Union, etc., I can’t say that I know what the process would have been had I answered yes. But the point is, if you wanted to join the US military and you had even visited any communist countries, the Department of Defense wanted to know about it. Fast forward to today. We are locked in a mortal struggle against a force not unlike communism. In fact, it has been called “communism with a god.” That force is Islam as defined by the Shariah doctrine which forms the basis for it. There are certain countries and organizations that are prominent in the enemy threat doctrine. Yet, to my knowledge, today we have no similar safeguards in place to what the DOD had during the Cold War years to check on the influence of foreign powers on American institutions. For instance, are any questions ever raised about travel to Iran, Syria or Sudan, three countries on the State Department’s list of terrorist sponsoring nations? For that matter, what about travel to Yemen, like Carlos Bledsoe did where he was indoctrinated to wage jihad in the USA by Anwar al-Alwaki? What about travel to the tribal areas of Pakistan, where the Times Square bomber traveled and received training? For that matter, how about travel to Saudi Arabia? After all, the Salafi strain of Islam that gave birth to Al Qaeda has its seat there and most of Al Qaeda’s cannon fodder seems to come from Saudi Arabia. Then there is the whole present question of the Muslim Brotherhood. The Muslim Brotherhood is best described as the forefather of all modern Jihadist terrorist groups. Its apologists and proponents claim that the Muslim Brotherhood has completely eschewed violence, yet the available evidence proves otherwise. HAMAS was founded as a Muslim Brotherhood wing and has been designated a foreign terrorist organization by the US State Department. HAMAS is one of the deadliest Jihadist organizations in the world, having carried out numerous Islamikaze bombings. And make no mistake, HAMAS has a large presence inside the USA. There seems to have developed in recent years some romanticized view of the Muslim Brotherhood among certain naive political factions in the USA–and not just Democrats. Rather than being viewed as an organization in the political wing of a global insurgency, the Muslim Brotherhood is unfortunately being embraced in the West and the US. Senator John McCain, for instance, seems to have become smitten with the Muslim Brotherhood after meeting with them for a few hours in Egypt. But no one has embraced the Muslim Brotherhood quite like the Obama administration. The Obama administration has established close ties to Muslim Brotherhood organizations in the US and met with them at length and frequently. All indications are that the Muslim Brotherhood plays a prominent role in the Obama administration. Organizations like CAIR (the Council on American Islamic Relations) and ISNA (the Islamic Society of North America) were named unindicted co-conspirators in the Holy Land Foundation trial, the largest terrorism financing conviction in US history. (Attorney General Holder declined to prosecute these organizations when he came to office, despite intentions by others in the Justice Department to do so.) In the Holy Land Foundation trial, in documented evidence that was stipulated to by the defense, both CAIR and ISNA were identified as Muslim Brotherhood organizations. And yes, a high-level member of the Clinton staff at the State Department, Huma Abedin, comes from a prominent Muslim Brotherhood family. Her father, her brother and her mother all have prominent positions in the Muslim Brotherhood apparatus. If during the Cold War such a person came from a family with extensive ties to the Communist Party of Romania or East Germany, there would have been ample reason to conduct a security investigation. But in today’s politically correct surreal world of Washington DC “go along to get along” culture, it seems that no questions can be raised. This is the same culture that looked the other way while a known Jihadist, Major Nidal Hassan, hid right out in the open in the US Army spouting Islamic Jihad doctrine, culminating in the terrible terrorist attack at Fort Hood. Well, the Center for Security Policy DID raise questions. The Center produced a 10-part video course on the Muslim Brotherhood in America that every American should watch: http://www.muslimbrotherhoodinamerica.com. Among others members of Congress, Michelle Bachmann has written a letter to inspectors general of key Washington departments inquiring as to Muslim Brotherhood influence in Washington’s halls of power. For her trouble, the likes of Hillary Clinton, John McCain, Anderson Cooper and a host of Leftist media from the Huffington Post to the Los Angeles Times and MSNBC have attacked Rep. Bachmann. They have all done so in a total vacuum of knowledge about the Muslim Brotherhood, the Holy Land Foundation trial and American fronts like CAIR and ISNA. This all stems from a complete failure of our leadership to put America on a war footing in the wake of 9/11. Our leaders have failed to identify the enemy. They have failed to try to understand the enemy threat doctrine. In fact they have denied that an enemy threat doctrine even exists. As a result of this culture, an imperialist, nefarious organization with long-standing ties to terrorism and with goals identical to those of Al Qaeda itself, namely the Muslim Brotherhood, is treated as a friend, rather than as a foe. If you even suggest that the Muslim Brotherhood might be an enemy of America, Hillary Clinton, John McCain and Anderson Cooper will attack you as if you are a wild-eyed bomb-thrower. We are indeed through the looking glass. Was Bin Laden in Charge and Will his Death Defeat Jihad? In the wake of the killing of Osama Bin Laden, there is a debate as to the extent that Bin Laden was operationally in charge of Al Qaeda. There have also been those who have naively speculated that Bin Laden’s death means an end to the war on terror or even Jihad altogether. It seems apparent that Bin Laden was actively communicating with Al Qaeda elements, but it wasn’t in real time. He used a system of couriers to relay messages via email and the internet, but went to great pains to securely communicate. This means no direct internet connection and no phones, cellular, satellite or landline. This would preclude any real dialogue with operators and cells. It seems as if Bin Laden was able to communicate in general terms about his “commander’s intent,” but was in no position to take part in detailed planning. Bin Laden wanted his followers to carry out mass casualty attacks, he wanted the attacks to occur on important anniversaries and holidays, and he was especially interested in attacks on trains, which is not hard to believe given that Jihadists have been targeting trains in the UK, Spain, France, Germany and India in recent years. Unfortunately, what this probably means is that the loss of Bin Laden will not operationally hinder Al Qaeda. It may hurt the group’s morale and it may erode some of the group’s financial and moral support, but it might also energize those who seek to avenge Bin Laden’s death at the hands of US special operations forces. Al Qaeda doctrinal leader Dr. Ayman al-Zawahiri still lives and he has been by far more active in communicating in recent years than Bin Laden was. 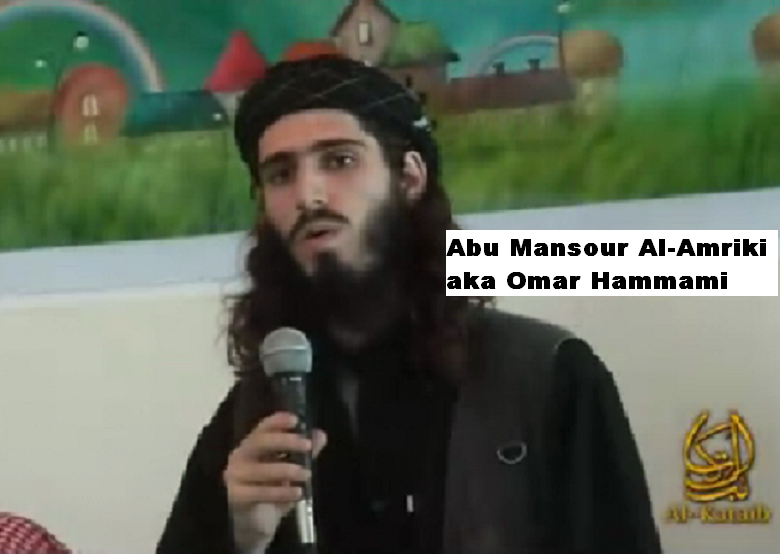 Anwar Al-Awlaki is still at large in Yemen and he has been the one who has successfully trained and inspired Jihadi attacks on US targets in recent years, such as the Fort Hood Jihadi murderer, Major Nidal Malik Hasan, the Underwear Bomber, Umar Farouk Abdulmutallab, Little Rock Jihadist murderer, Abdulhakim Mujahid Muhammad (aka Carlos Bledsoe) and the unsuccessful plot to send bombs embedded in printer cartridges from Yemen to the US on board cargo and passenger airliners. Muslim Brotherhood apologist Peter Bergen maintains that Awlaki is a small player and that the war on terror should end with the killing of Bin Laden, but this is hardly surprising that Bergen essentially built a career around Bin Laden, including perpetuating the illusion that Bergen himself was some sort of expert on Jihad because he had managed to spend a few hours with Bin Laden in a tent 13 years ago or so. On top of all this, there is the additional issue of groups and organizations sympathetic to Al Qaeda and allied with Al Qaeda, but not actually part of Al Qaeda. Two significant organizations fall into this category: the Taliban and Lashkar e Taiba. The significance of this is that the Taliban are willing and able to attempt terrorist attacks here in America. Adding to this worry is the recent news that six American Muslims, including Imams at a Florida mosque, appear to have been raising money for the Taliban: http://www.dailymail.co.uk/news/article-1387185/Imam-Florida-mosque-sons-arrested-charges-financing-Taliban-Pakistan.html Moreover, there is no ignoring the Taliban’s recent bombing attack against a Pakistani paramilitary training facility in northern Pakistan, which was declared as vengeance for Bin Laden’s death–with the promise of more to come. Unfortunately, the slaying of Osama Bin Laden will have no operational impact on Taliban operations. Then there is Lashkar e Taiba, the Pakistani Jihadi terrorist group which carried out the horrific Mumbai attacks. Again, this is a group that is often misidentified as an Al Qaeda affiliate, but, like the Taliban, LeT is a separate, standalone organization that declined to pledge any oath to Osama Bin Laden. Members of the group fought against US forces in Iraq back in 2004. The group is known to have a presence in Germany and the UK as well. These are just two examples of Jihadi organizations that pose a threat to America that will not be impacted at all by the death of Bin Laden. None of this takes two other significant Jihadi terrorist threats into account: Hezbollah and HAMAS. What could touch off renewed attacks by Hezbollah? A confrontation with Iran for one. HAMAS is known to have conducted extensive fundraising inside America and, like Hezbollah, is believed to have a major presence inside our country. • Bin Laden was unlikely to have played an active operational role in Al Qaeda in recent times; most likely he was limited to expressing “commander’s intent” via intermediaries with little or no direct contact with operatives around the globe. • The Jihad will of course continue. Jihad is not limited to a few groups and it didn’t commence on September 11th, 2001. It’s been going on for a millennium and is based on Shariah doctrine, not just the personal philosophy of Osama Bin Laden. 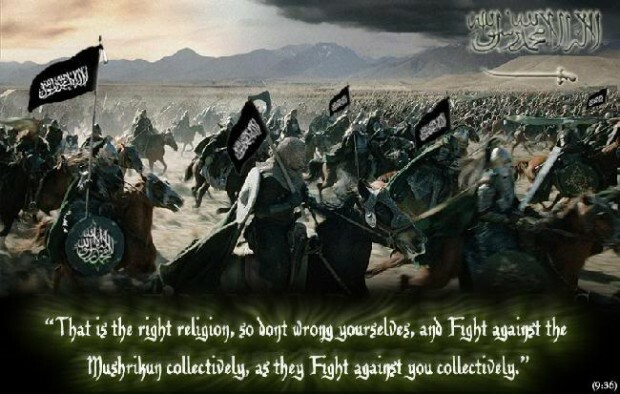 Jihad, however, can be made dormant for a period through strong resistance since, according to Shariah, Muslims are specifically not supposed to wage Jihad if they are not strong enough to do so, therefore the situation is far from hopeless. Al Qaeda and its affiliates have pledged to continue the Jihad and allied Jihadist groups still pose an independent threat above and beyond Al Qaeda. In fact Bin Laden’s death may ironically spur them to action. This says nothing of the threat from Jihadists that were not aligned with Bin Laden, such as Hezbollah and HAMAS, who pose an ongoing, if dormant, threat to Americans. Now is no time to rest or become complacent. Just the opposite. 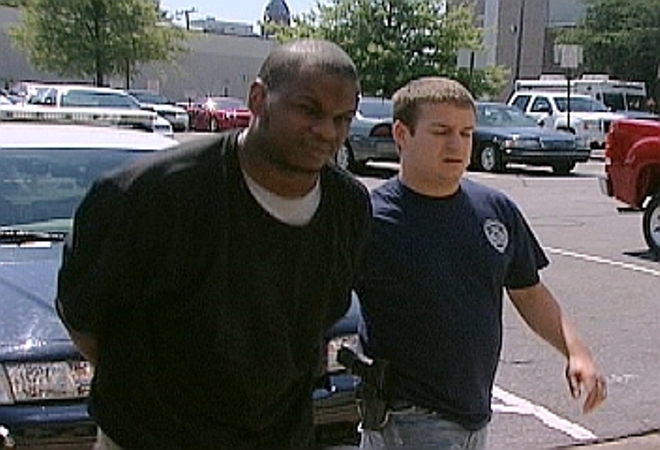 Abdulhakim Mujahid Muhammad, aka Carlos Bledsoe. In June 2009, Muhammad shot two unarmed US Army soldiers outside a Little Rock, Arkansas recruiting center, killing one and wounding the other. Abdul Rahman Yasin. 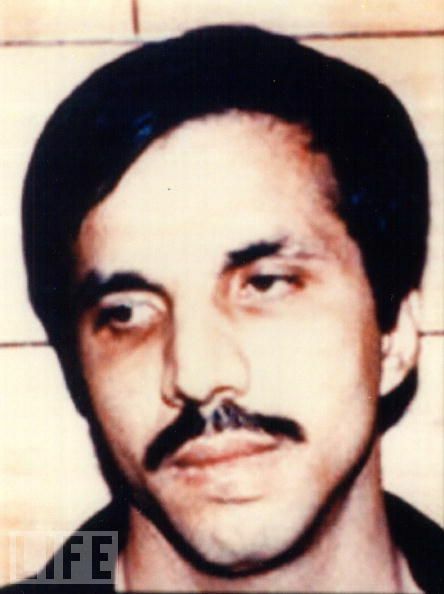 Yasin is on the FBI's Most Wanted Terrorists list for his role in the 1993 World Trade Center bombing. He was born in Bloomington, Indiana. 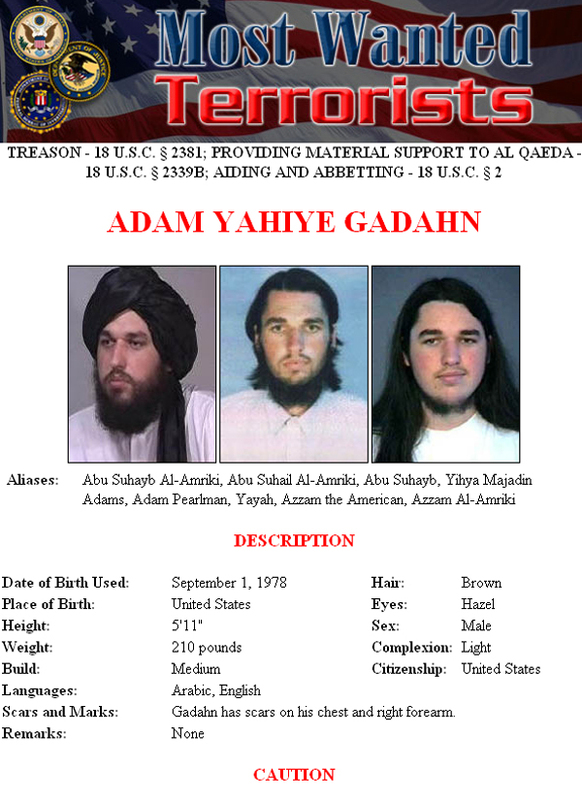 Adam Yahiye Gadahn. 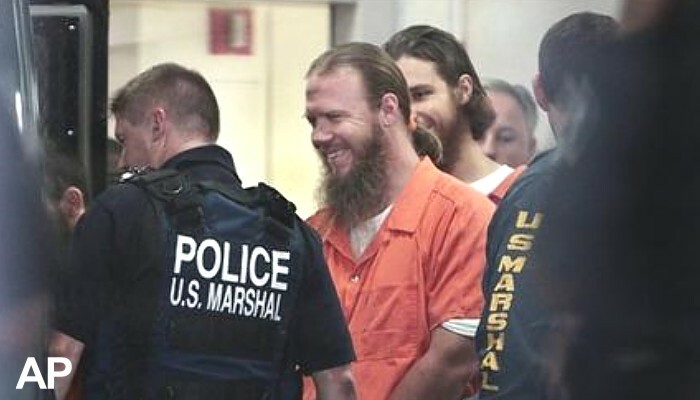 This native of California played in a heavy metal band before traveling to Pakistan to join Al Qaeda. Anwar al Awlaki. This New Mexico native is now the Imam of choice for Al Qaeda, essentially leading the organization's operations in Yemen. John Walker Lindh. A Washington D.C. native, the infamous American Taliban was captured in Afghanistan during the overthrow of the Taliban regime in 2001. He is serving a 20 year prison sentence. 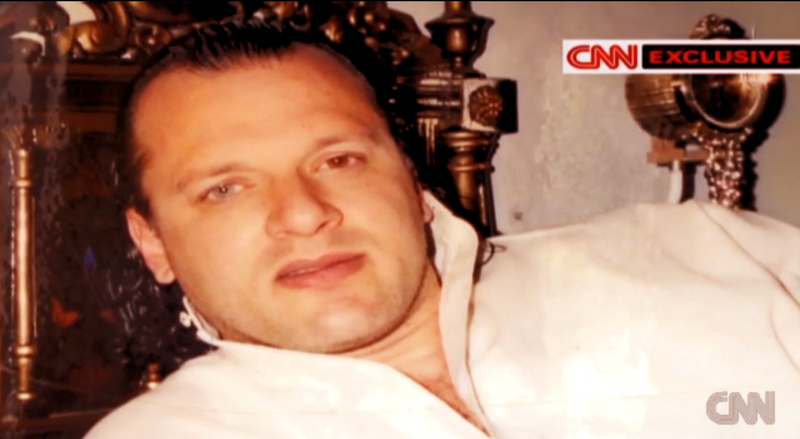 David Coleman Headley. 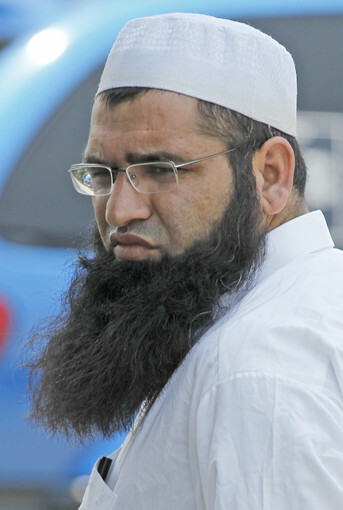 Formerly known as Daood Sayed Gilani, is a Pakistani American from Chicago, who conspired to launch the 2008 Mumbai attacks in India. He changed his name to hide his Muslim identity. 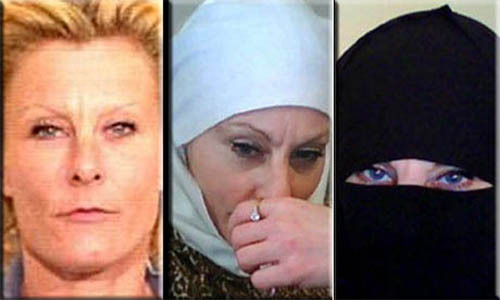 Colleen Larose, aka Jihad Jane, this Michigan native/Philadelphia resident, plotted to kill a cartoonist who drew a picture of the muslim prophet mohammed. Moussa Ali Hamdan. 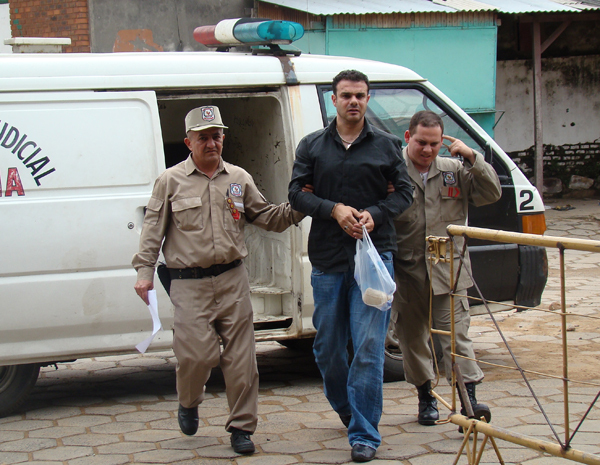 Former New Jersey resident and Hezbollah member, was arrested in Paraguay on June 17th in connection with 31 crimes, including terrorism financing. Aman Hassan Yemer, Ahmed Abdulah Minni, Waqar Hussain Khan, Ramy Zamzam, and Umar Farooq. 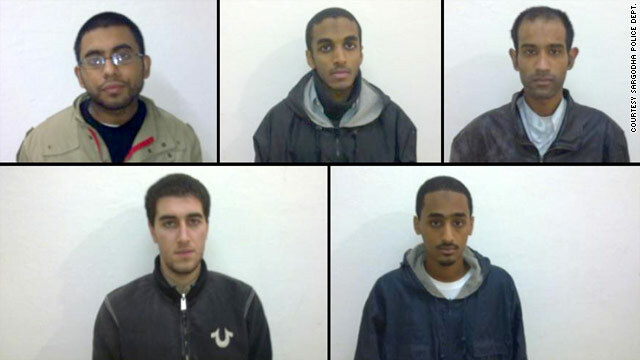 These five American citizens from Virginia travelled to Pakistan to join the Jihad, only to be caught by authorities there and imprisoned. 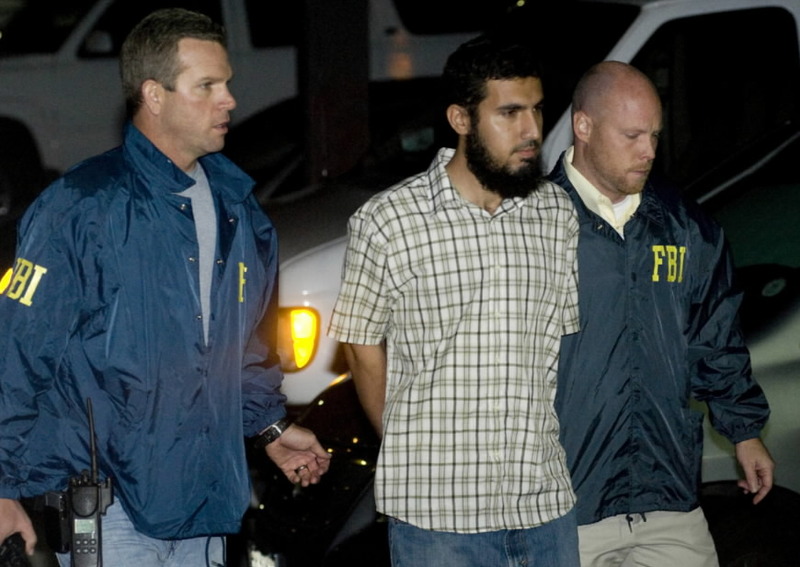 As long ago as 2004, Faisal Shahzad was being checked out by federal investigators. By now, most readers of Terror Trends Bulletin know that a car bomb was discovered in New York’s Times Square last night. It was discovered just as it was fizzling out after failing to detonate. Just as was the case with the “Fruit of the Boom Underwear Bomber” over the skies of Detroit on Christmas Day, America was saved from a terrible attack only by the incompetence of its enemies. This illustrates the inadequacy of emphasizing security measures as the chief means of defending ourselves against Jihad. He who tries to defend everything defends nothing. Sooner or later, we will be forced to confront our enemies’ threat doctrine and take a much wider and more comprehensive approach to defending ourselves. Unfortunately, I feel that things will have to get much worse before America confronts the ongoing and longstanding threat from Jihad. The bomb in Times Square was located inside a Nissan Pathfinder SUV and was made up of two 5-gallon gasoline containers, M-88 firecrackers, three propane tanks and a metal box which contained what appeared to be fertilizer. Press reports make no mention of shrapnel or other explosives. This appears to be a bomb that was designed to create a fireball. But it also was a bomb that seems to have had some missing components. For instance, the fertilizer was either not of a type that could be made to explode or else it was not soaked in kerosene or diesel fuel to prepare it for ignition. It is difficult to perceive how this device was supposed to work, though we are certain that NYPD is not releasing all details of its make up, so it is impossible to know. Unfortunately, press reports are repeatedly quoting New York Mayor Michael Bloomberg, who referred to the device as “amateurish.” This is a classic case of a politician with no real knowledge making a statement that was certainly not helpful. The reason why this label is unhelpful is because it tends to downplay the seriousness of this attempt. Moreover, the use of propane (or butane or acetylene) tanks in conjunction with conventional explosives is a common and very lethal methodology for VBIEDs (Vehicle Borne Improvised Explosive Devices). A large version of this was used in the October 23rd, 1983, bomb which killed 241 US servicemen in Beirut, Lebanon. Propane tanks have also been used in IEDs in Iraq. Moreover, the use of household goods, such as those used in this device, is a method used by Jihadists in London previously. Except for the M-88 firecrackers, everything mentioned in the NYPD press conference is available at WalMart. Had this bomb detonated, no one would have been referring to it as “amateurish.” We were very fortunate that something went awry in the detonation process because, given the crowded streets in Times Square at the time, there is every possibility that this bomb could have caused a lot of casualties, including horrific burns on victims in the area. We should not assume that just because this bomb fizzled and appeared to be assembled incorrectly that it was not the work of Jihadists. Jihadists planted two bombs very similar to this one in the UK in 2007. The bombs were placed in parked cars near areas with high pedestrian traffic and included petrol cans and propane tanks. Just as in Times Square last night, passer-bys noticed smoke and fumes coming from one of the vehicles and called authorities in to take care of the matter. So just because the bomb failed does not mean that it wasn’t planted by a “real terrorist.” All it means is that it was planted by a terrorist who wasn’t up to speed on demolitions. In his press conference on Sunday afternoon, NYPD Commissioner Ray Kelly indicated that they may have video footage from surveillance cameras of an individual associated with the Nissan Pathfinder. There are also reports that police were able to collect fingerprints at the scene. Why would a bomber leave fingerprints? Remember, the guy who planted that bomb figured on it blowing up and burning. He wasn’t worried about fingerprints on the Nissan or any of the component parts. Fortunately, he screwed up and pedestrians in Times Square were spared from incineration. As for the Nissan Pathfinder, the Connecticut license plates mounted on it were not registered to it, but to a Ford truck. There are conflicting stories about the Ford truck. Press reports indicated that the owner of the Ford claimed that he sent it to a junkyard for disposal long ago. But Commissioner Kelly stated in his press conference that the Ford truck was in for “repairs.” There may be further developments associated with this aspect of the investigation. At this point there is no way to determine conclusively who planted this bomb. The Pakistan Taliban released a video claiming responsibility in retaliation for the recent killing of Al Qaeda leaders in Iraq, but the Pakistan Taliban have claimed responsibility for incidents in the past that they were clearly not associated with. It should be noted, however, that Jihadist groups are different from the terrorist groups of the 1970s and 1980s, like Baader-Meinhoff, the Provo IRA and the Red Brigades, in that they don’t necessarily feel compelled to lay claim to their work, at least not immediately on the heels of an attack. Their outlook is different in that they are not doing this to “terrorize” us, they are doing it because they are at war with us and this is but one operation in a long, civilizational, global war. One thing that makes us feel that there may be some credence to the Taliban’s claim of responsibility was the promptness of that claim. Using the news aggregator NewsNow.co.uk, we determined that the first NEWS report of the Taliban claim was by the British Channel 4 at 0341hrs Central Daylight Time. This means that the Taliban would have had to released that video just a few hours after the incident. It seems unlikely that they would have been able to do so in such a short time frame without prior knowledge of the incident. So, even though there is no “evidence” of Taliban involvement, that doesn’t mean that the Taliban weren’t involved in some way. There are also reports of video surveillance indicating that a possible suspect seen nearby was identified as “white.” Again, this does not mean that this wasn’t a Jihadist operation. The leader of the Jihadi cell in North Carolina that was plotting to infiltrate and attack Marine Corps Base Quantico was blonde-haired and blue-eyed. 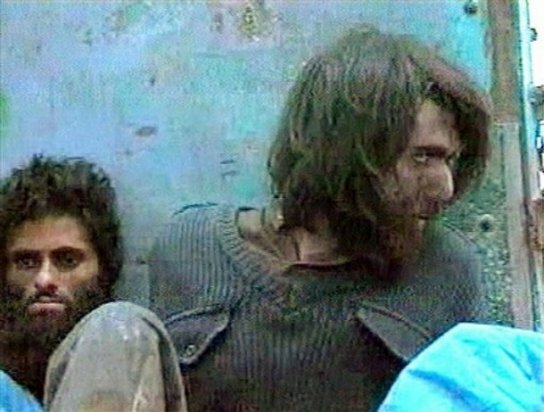 John Walker Lindh, the American Taliban, was white as well. For his part, Senator Charles Schumer of New York has already declared that this was almost surely the work of a “lone wolf.” Once again, we have a case of an ignorant politician opening his mouth in a vacuum of knowledge. What Schumer based his statement on is unclear, but no one else in New York or Washington DC is saying anything like that about a motive or suspect in this case. There are many obvious reasons why a Jihadist group might want to target Times Square on a Saturday night, but none more significant than the fact that the area is teaming with people on a spring night. The fact that Viacom’s headquarters is nearby may or may not be a motive (Viacom is the owner of South Park, the cartoon which did a spoof on Mohammed recently). One would think that, had the terrorists been targeting Viacom, they would have done so during normal business hours. The same goes for the big armed forces recruiting center nearby. We will continue to track developments as they occur. India and Pakistan on the Brink of War over Kashmir?